Tim Tebow's 'Night to Shine' was held on Friday, February 8, 2019 in 600 Churches, with 100,000 Kings and Queens. Over 600 churches from around the world are hosting special prom events honoring young adults with special needs and disabilities. 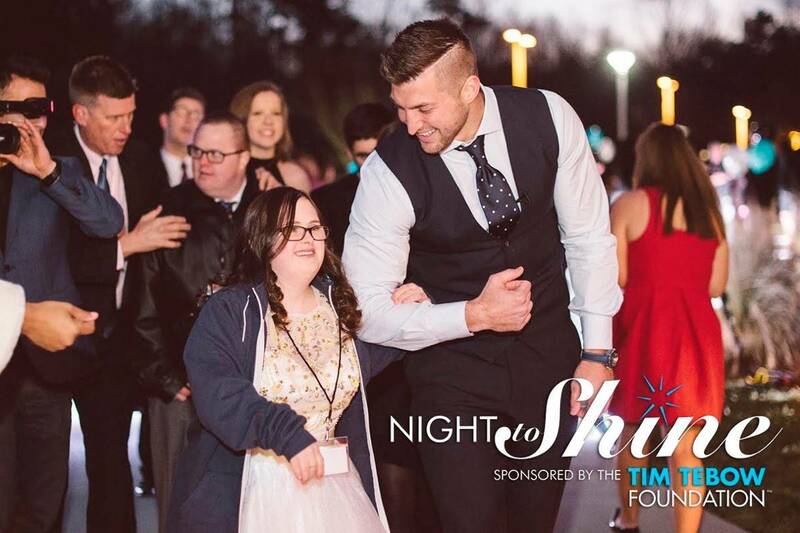 The event is called "Night to Shine" and it was the idea of former NFL quarterback and current professional baseball player Tim Tebow. It's sponsored by his Tim Tebow Foundation. Their website describes as an unforgettable prom night experience, centered on God's love for people ages 14 and older with special needs. "I truly believe that the world is coming together to celebrate the love that God has for every single one of us," Tebow says. The mission of Night to Shine is "to bring faith, hope and love to those needing a brighter day in their darkest hour of need." Tebow says in a video that one of the favorite letters he's ever received in his entire life came to him after the 2016 Night to Shine.